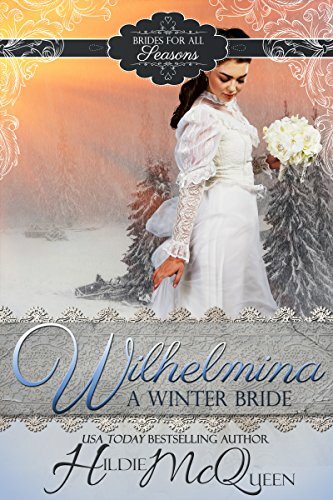 When life hands her a curve ball, Wilhelmina must decide whether to live miserably with her aunt in Virginia or to take a chance on a whole new life in Montana as a mail order bride to handsome Marcus Hamilton. Their first encounter is certainly less than perfect, but can things still work out? This is a sweet, clean romance and a quick read at only 168 pages. It is currently free on Kindle Unlimited. I added on the Audible version for a few dollars more, but I ended up reading the e-book version instead of the Audible version. Actually, the book itself was quite good but I wasn't particularly fond of the narrator on the audible version. She made Wilhelmina sound somewhat like a snob and Marcus sound a bit too cold and drab. I don't think that was the intention of the author because when I read the actual book, I had an entirely different vision of these two characters and I loved them! Really, really loved them. So my advice is to stick with the book itself. Hildie McQueen's writing is excellent. Wilhelmina, a Winter Bride is the first book in the Brides for all Seasons series. I'm looking forward to seeing how things work out with Tobias and Aurora in the Spring, and I'm looking forward to reading more from this amazing author, Hildie McQueen. Would you like to meet the author, Hildie McQueen in person? Perhaps ask her to sign a copy of this book or one of her many other books for you? You can do that at #CMCon2018 Coastal Magic in Daytona Beach, February 22nd - 25th, 2018. USA Today bestselling author Hildie McQueen loves action, love and unusual settings. 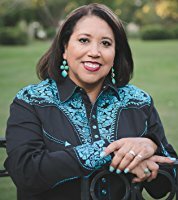 Author of western historical, Highland historical, paranormal and contemporary romance, she writes something every reader can enjoy. If you would like to meet Hildie McQueen in person, she will be a featured author at #CMCon18 Coastal Magic Convention in Daytona Beach in February 2018!